Maybe the Penguins should play pissed off more often. Because make no mistake, that’s what they did during a 5-2 win at Consol Energy Center Monday night. They played pissed. And it worked. Call it desperation. Call it urgency. Call it pride. However you want to label it, the Penguins have played without it for the better part of 33 games so far this season. Normally it takes Flyer orange & black to elicit that kind of emotional response from the Penguins. But due to an NHL scheduling quirk, Pittsburgh hasn’t even seen its cross state rivals so far this year. So the nearby Blue Jackets will have to suffice. And conjuring up dislike wasn’t hard to do given the history Pittsburgh has had with the team’s coach (John Tortorella) and with one of its alternate captains (Brandon Dubinsky). It was only a few weeks ago when Dubinsky got suspended for cross checking Sidney Crosby in the neck, then breaking the stick a moment later on a fallen Crosby’s back. Crosby wasn’t around to even the score Monday. He’s out with a lower body injury. And his teammates were heavily criticized in Pittsburgh for failing to respond to Dubinsky’s violence with physicality of their own. And maybe that message should have been sent even earlier in the season. Or at least earlier in the game, because the Penguins coasted through another scoreless first period trailing 1-0 after twenty minutes. But the fight seemed to jump start the Penguins. Because just 1:13 later Evgeni Malkin scored a goal to make it 1-1. Then Phil Kessel tallied another (his first since 12/1) to give Pittsburgh a lead. A few minutes later, Boone Jenner went knee to knee with Malkin who had to briefly leave the game. That induced recent call up Scott Wilson to fight Jenner as well, further inspiring the team as they posted two more goals before the end of the period. “When a guy goes at your best player’s knees, you’re looking for a response. And the guy [Wilson] just came up [to the NHL]. He saw what happened. That was great. A great lift for the boys,” said Daley. He’s downplaying it. I guess he has to. I wish he wouldn’t. Because the fans are pissed. Hopefully ownership is pissed. 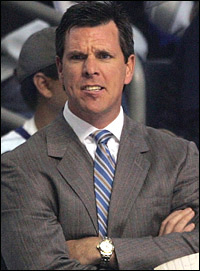 Sullivan should be pissed the team lost his first four games as head coach before winning this one. So the Penguins skating pissed off is a good thing. They should also be pissed. At their record. At the Blue Jackets. At their star players getting injured, and their place in the standings. Being even tempered hasn’t seemed to fix anything the last few years. So, yeah, be pissed. Merry-bleeping-Christmas, Pens. Hope Santa gives you nothing but coal and you get pissed at that too so you take it out on Minnesota Saturday night. There’s a lot of ground to make up.